Carolyn Gray was part of the graduating class of 2012. After working in the field of human rights documentation in Palestine/Israel and Canada, she transitioned to working with low-income, street communities, and integrating refugees, and then to humanitarian relief aid within Canada and also abroad. As a Humanitarian Relief Aid Program Coordinator for the Mennonite Central Committee Ontario, Gray is key in the process of providing aid to places affected by conflict or natural disasters to places where there is little to no capacity for generating relief aid in the regions where the recipients are located. 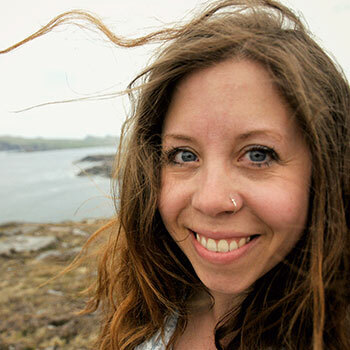 Her interest in working abroad began during her studies at Laurier where she interspersed her courses with travel to Hong Kong to teach English and with travel to Palestine to participate in human rights documentation. By combining local volunteering and international travel, volunteering, and education with her Global Studies courses, Gray took advantage of the way the GS program allows students to explore their interests in Global Studies both inside and outside the classroom. She encourages current and future Global Studies students to explore their interests both during their degree and after graduation. Opportunities to make a difference around the globe exist both near and far. The organization Carolyn now works for, Mennonite Central Committee, has its Ontario office in the Waterloo Region. Learn more and connect to what you believe.